Fahrin Jaffer is an accomplished lawyer who is currently a member of Barrap Law. She graduated with a BA from McMaster University in 2007. The same year, she relocated to study law at the Buffalo Law School. She obtained her degree in Juris Doctor at the State University of New York in 2010. Since then, she has been practicing with Barapp Law. 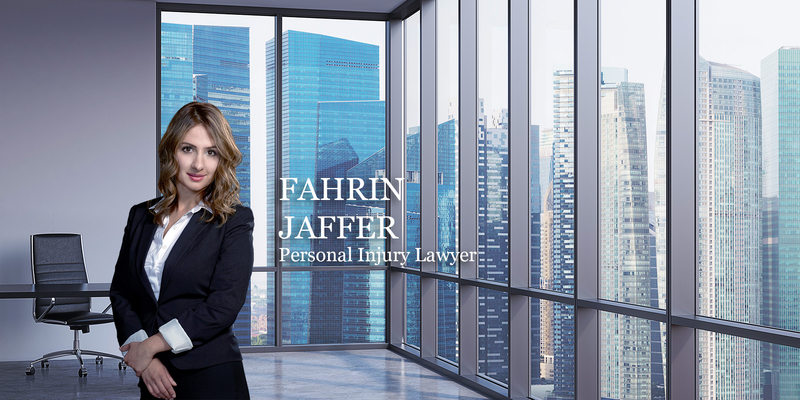 Fahrin has earned the reputation of a lawyer who always goes above and beyond for her clients and is a fierce advocate for the rights of injury victims. She has represented clients at the Superior Court of Justice and before various Tribunals in the province of Ontario. Civil litigation, slip and falls and motor vehicle accidents. Fahrin owes much of her skills and knowledge to her enthusiasm and passion for the profession. Plaintiffs can seek her solicitation from the cities of Toronto, Barrie, Whitby, Mississauga, Hamilton, Kitchener, Markham, Guelph, Brampton, London, Peterborough and Sudbury. During her spare time, Fahrin enjoys travelling, partaking in yoga or spin classes, and spending time with her friends. Call us 24/7 for immediate assisstance.